If I studied or did any science in grade school, memory of it escapes me. I think we read about science once in a while, e.g., the Weekly Reader but not an issue devoted to science. However, I still remember the great fourth grade experiment. A classmate (aka RG), perhaps after returning from the playground, was told to wash his hands before he got back to classroom work. One thing led to another and he made a strong claim from which he would not retreat: there was no difference between washing one's hands in warm water or cold water. Soap was not mentioned. The reaction was immediate. Everyone disagreed and RG was isolated and only dug his heels in deeper. Our teacher decided to use this opportunity as a test of an idea and a second pair of hands was soiled. RG used cold water; a classmate used warm water. Warm won the day and class moved on. There was no discussion. I don't know whether RG's mind was changed. No controls. No replicates. No experimental procedures were discussed or what was meant by "dirty." (His hands were mildly coated in playground dirt.) No discussion on the nature of the evidence, i.e., what would be measured and how. I thought of this when I read an essay by Michelle Sconce Massaquoi, a doctoral candidate in microbiology at the University of Oregon. She started by noting that in fourth grade she did a science fair project in which she "tested different soaps to see which ones were the most effective at keeping my hands clean." Now that she knows a lot more about microbiology she realizes just how amateur her investigation was, e.g., no control groups and she did not have a focused question. Massaquoi's essay was written to tell us that we are washing our hands wrong. We tend to use two main strategies. One strategy is to "decrease the amount of bacteria, viruses and other types of microorganisms." To do this we lather our hands with soap and rinse them with water. The second strategy is to kill the bacteria which is where antibacterial products, including some soaps, enter the picture. Antibacterials are not without genuine problems. Resistant strains of bacteria often remain rendering antibacterials ineffective over time. One of the antibacterials, triclosan, was banned by the Food and Drug Administration for used "in soaps, toothpastes and deodorant." It was found to alter the way hormones function. Massaquoi notes that more than 90 percent of "2800 survey respondents did not wash their hands after coughing or sneezing." And in a study of a college town, the average hand-washing time for 3749 people was ~6 seconds. Full confession. I violate the scrub/wash time almost every time I wash my hands. I'm not known either for getting up from my desk to wash my hands after a sneeze but I do cough into my upper arm. You can read her essay which is aimed at holiday travelers here and learn more about microbes, not all of which are germs. The CDC has a page on handwashing which focuses on the steps: Wet, Lather, Scrub, Rinse, Dry (W, L, S, R, D). There you will find more about the science behind the recommendations and an instructional video. 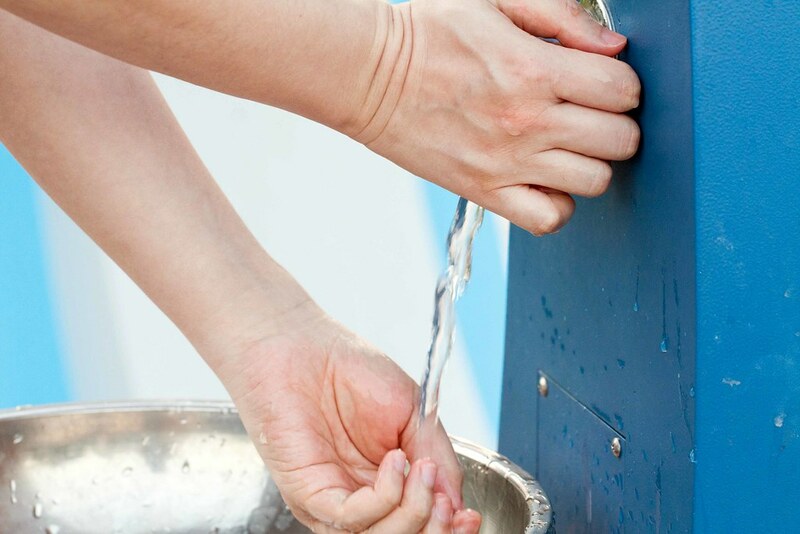 The CDC emphasizes the importance of handwashing by describing the process as a "Do-It-Yourself Vaccine." I'd never thought about it this way. Now what about warm water v. cool/cold water? (RG just might have been right!). Here is a report from the New York Times. Cool water does save some energy! Warm water, as you know from experience, is more effective at removing oils which could harbor bacteria. The science of this simple act is complicated! Happy hand washing to all and don't forget to sing along! The Brutal Bottom of America. Last Act: Death of a Young Techologist/Violinist.